EYE NUTS | zero products inc. 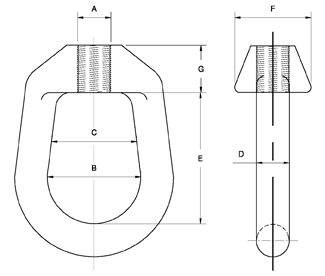 Eye Nuts are internally threaded and have a looped head. They come either load rated for vertical lifting or non-load rated for use with tie downs or guided wires and not for lifting.They are oval or round in shape. Zero Products Inc. can manufacture any SIZE with any type THREAD in any MATERIAL and COATINGS you need.